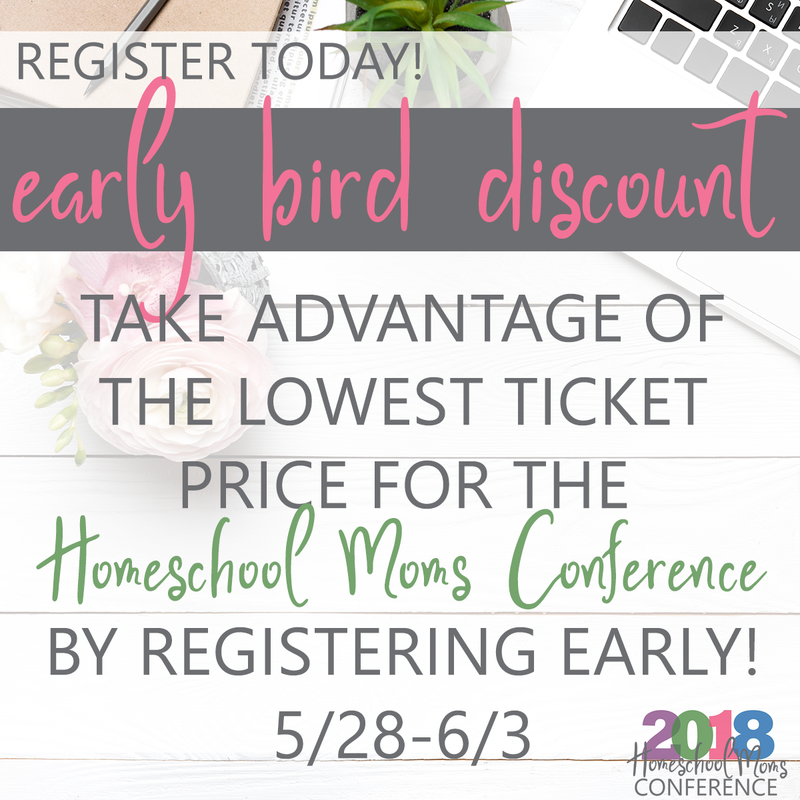 We’re SO excited to announce the 2018 Homeschool Mom Conference! There are so many amazing features about this special online event! You don’t want to miss our featured class about Educating for Greatness and a digital swag bag worth $1000! With over 65 speakers and 150+ sessions full of encouragement, practical tips and ideas all from the comfort of your home, you don’t want to miss this! There are two tracks to choose from, the Homeschool track and the Work at Home/Blogging Track. Register for both and get a great discount! 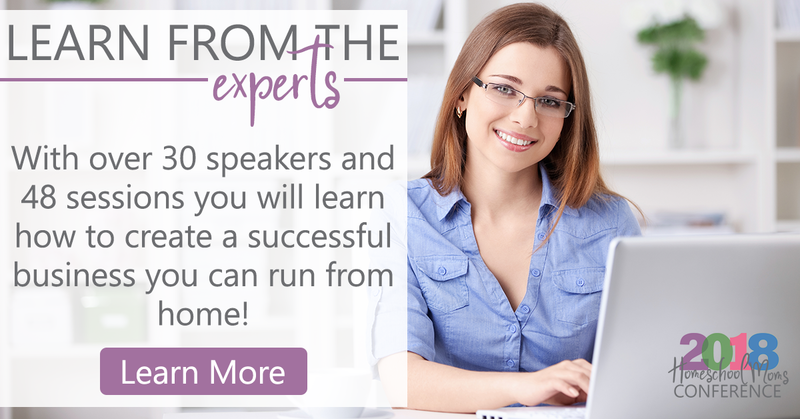 Learn how to make an income from home with 45+ sessions from homeschool moms who are living the WAHM life! Sign up for the Work from Home/blogging Track! 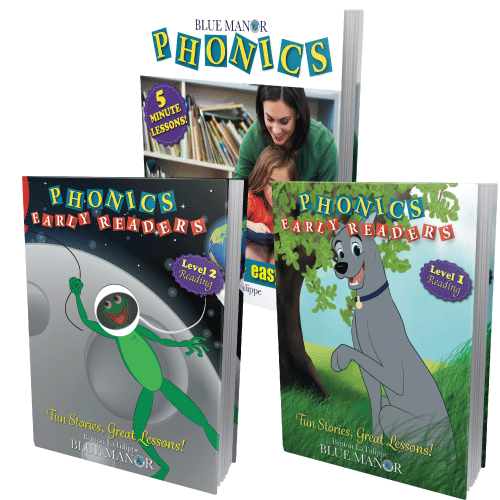 How to Write a Book presented by Hal & Melanie Young – Hal & Melanie had been writing blog posts and magazine articles for years, but we were still intimidated when someone suggested they write a book. Where do you even start to write something of that length? Here’s a little hint: You don’t start at the beginning! Learn where you do start and how to get all that great information out of your head (or blog) into a cohesive whole that will change lives – yours and your reader’s. 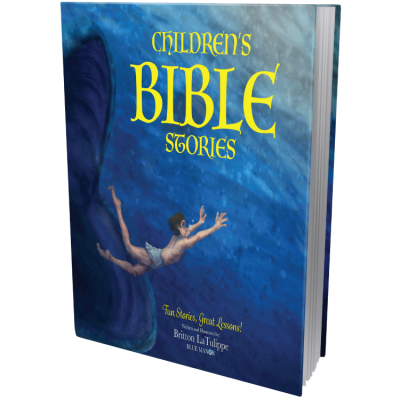 Writing a book exploded their ministry and pushed them into full time speaking and writing. In this session, they’ll share how. I Want to Start a Blog. Now What? presented by Heather Bowen– You’ve been playing around with the idea of starting a blog for years…now is the time! What are you waiting for? You likely have no idea where to begin. No worries- in this session, Heather will share with you the 8 essential steps to starting a successful blog. Your blog will be off the ground in no time! 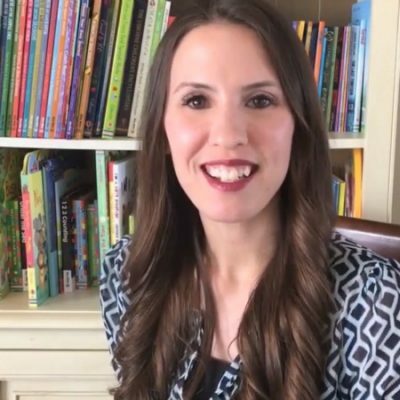 How to Rock that MLM Opportunity presented by Lindsey Stomberg– MLM opportunities are a dime a dozen, but it IS possible to make bank as a stay at home mom if you know what to do. I have built multiple thriving businesses using the MLM structure. Let me show you how to ROCK that business you just started or REVIVE that business you couldn’t get off the ground. 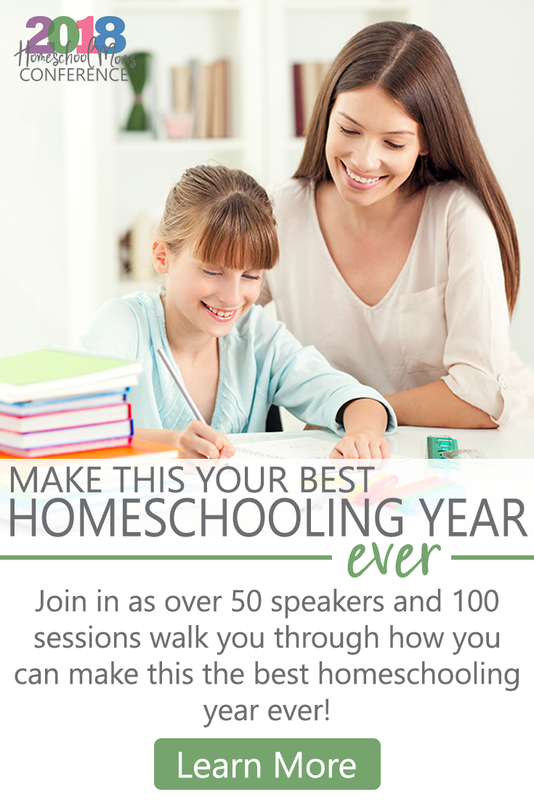 What makes this Homeschool Conference Different? 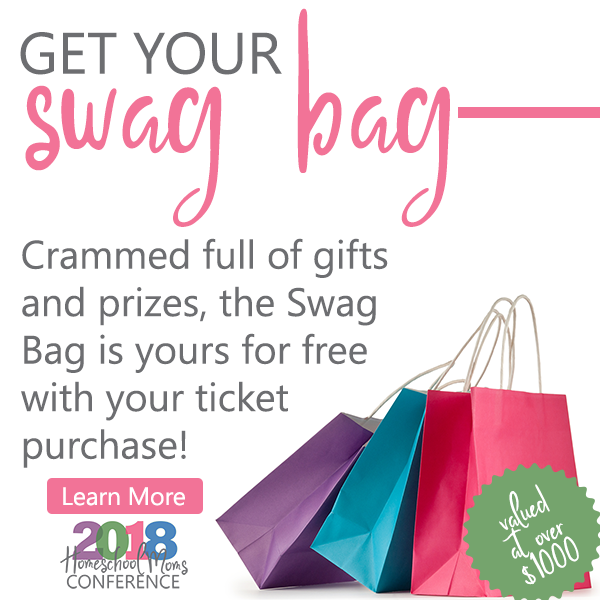 Including the FABULOUS homeschool session you have lifetime access to, each 2018 Homeschool Moms Conference attendee receives admittance to the online vendor hall where they will receive exclusive conference discounts from 40+ vendors including Apologia, BJU, Sonlight, Notgrass History and more! Here are all the amazing features of this year’s Homeschool Mom Conference! 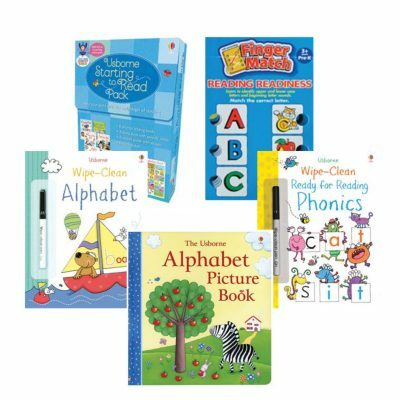 « Teach Your Child to Read – FREE Flash Cards!